He is Still the God of More! 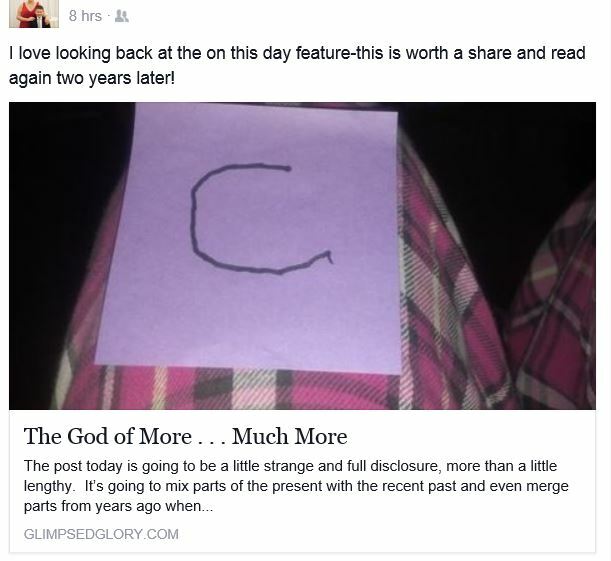 One of the things I appreciate about technology and in particularly the Glimpsed Glory blog is the opportunity it affords me to go back in time and pull whatever situation or circumstance God was guiding the Boulevard through at the time up close and personal. It gives me the chance to praise Him for wonders I may have let drift from my memory, to thank Him for His ever-present love no matter where I am in life, and to reflect on the growth He’s provided since that moment in time. 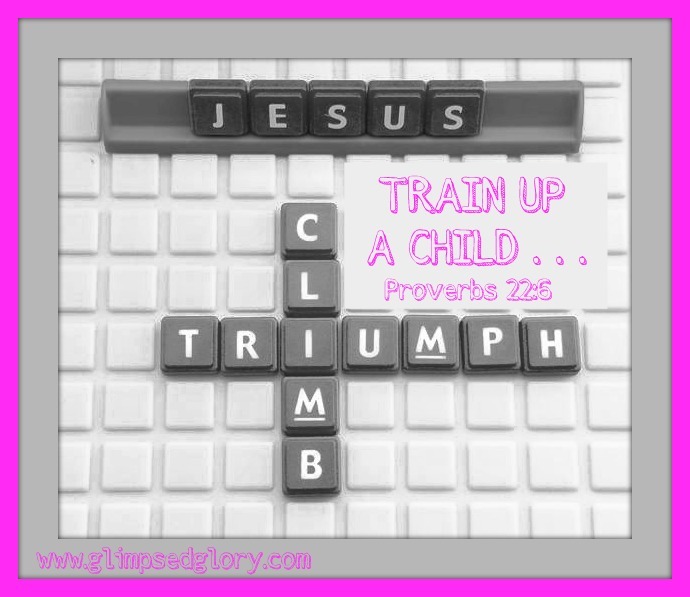 My friend was given the chance to see the blessing in her circumstance – that’s not always the case. . . . But the times we don’t, we remember when we did, and we hold tight to God’s Word knowing that the goodness of Him goes beyond our circumstance. . . . We believe that the God who gave His One and Only Son will hold back no good thing and we stand firm on the common ground of His goodness. So I’m inviting you to link arms with me and glance back over my shoulder at a glimpse of His Glory and His goodness by revisiting all that He did in and through my lung collapse. But here’s the thing, if you only have a few minutes today please close this window and meditate on His goodness to YOU. Remember the wonders He has performed for you. Recall the works He has done on your behalf. Take the time to remember His affection and His attention toward you. Rejoice in the victories and the refinement of your faith. 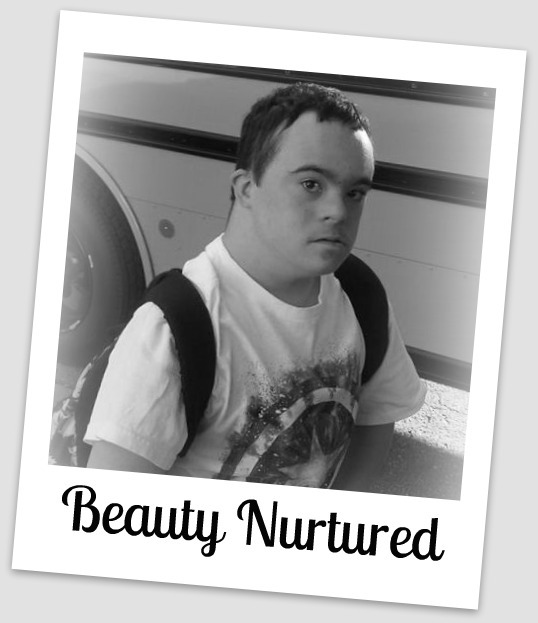 Celebrate the tough stuff He has made beautiful and be confident in the situations yet to unfold. Walk on the solid ground of His faithfulness when you can’t see the goodness and remember that the path your beautiful feet are on was appointed with purpose and forged by Grace. Girlfriend, meditate on His goodness in the past, revel in His present-time-all-out affection for you, anticipate all that He has in store when you step into Glory. I guarantee that rather you look to your past, your present or your future — the view of the God of More will blow you away! The post today is going to be a little strange and full disclosure, more than a little lengthy. It’s going to mix parts of the present with the recent past and even merge parts from years ago when we met Joni and Ken Tada at family retreat. My clumsy attempts to summarize the events of the last few days by recounting the present and pointing to the past will be intermingled with the voice of one of the most godly, courageous women I have ever encountered. All of this back and forth confirms for me and I hope for you too that no event ever happens in isolation. The activity of God cannot be confined by time and not a moment of your life escapes His attention. The staff at the hospital was kind enough to let me call Britt and tell her what was going on before they doped me up for the procedure. Her little heart was breaking (she’s 20 but it’s still a “little heart” to this Momma) and I so badly wanted to make it better for her. But I couldn’t. It was time to find out if I would believe God for her comfort. I totally trusted Him for me, no matter the outcome, but I didn’t know if I had the tenacity to trust Him for her and for Brett. The next few days presented that question over and over again. Each time, I said aloud, “I trust you Lord” and I repeated the verse from Psalm 28 I had started memorizing two days before . . .
Each time He was true to His Word. I love how He is always preparing us to face the next trial. Always revealing Himself to be the One we can turn to and reminding us that everything has a purpose. I was nervous about the medication I was getting because I knew that I would soon lose the ability to monitor what was spewing from my mouth. I never know what might come flowing out if I leave this tongue unattended and I didn’t want to be bossy or say something unfiltered. The E.R. Crew listened patiently as the drugs started having their relaxing effect and I explained that “I needed them to ignore anything I might say under the influence because if I ever got to talk Jesus with them in the future, I didn’t want this to be what they remembered.” Luckily, the jibberish I spoke wasn’t anything that threatened my sanctification! I did quote a contorted version of Proverbs 21:9 to the three men hard at work preparing to help me begin breathing again: Better to live on the corner of a roof than to have a nagging wife. Hmmm . . . . . is this really the last bit of wisdom my brain wants to impart. So I had gotten to talk to my Girl and, as the surgeons prepared to sedate me further and insert the tube that was supposed to reinflate my lung, I remember looking over at Brett and seeing such a mix of love and concern on his face. I wrote later in my journal, “If her voice was the last thing I heard and his face the last thing I saw on planet earth, what a sweet send off it would have been. Lord, thank you for being Love to me through them.” My God really is the Giver of all good gifts. I don’t think I had any doubts left about that, but if I did watching my parents, my husband, and my sweet night shift friend do faithful vigil at my bedside certainly dispelled them. He is today and has always been the unchanging God James describes. My condition was very serious and the measures to correct it would not fall under my personal definition of the word pleasant. The tube they originally inserted between my ribs was very large and they had to pry my bones apart to secure it. As a result, it was painful all the time. I was relieved when the surgeon said it could be removed and I looked forward to having that pain gone. But when they took it out the diameter of the tube left a gaping hole and my lung began to spurt air and collapsed again. There was no time to administer any kind of pain medicine so I received stitches and had a large needle for aspiration inserted without any numbing medication. Youch! 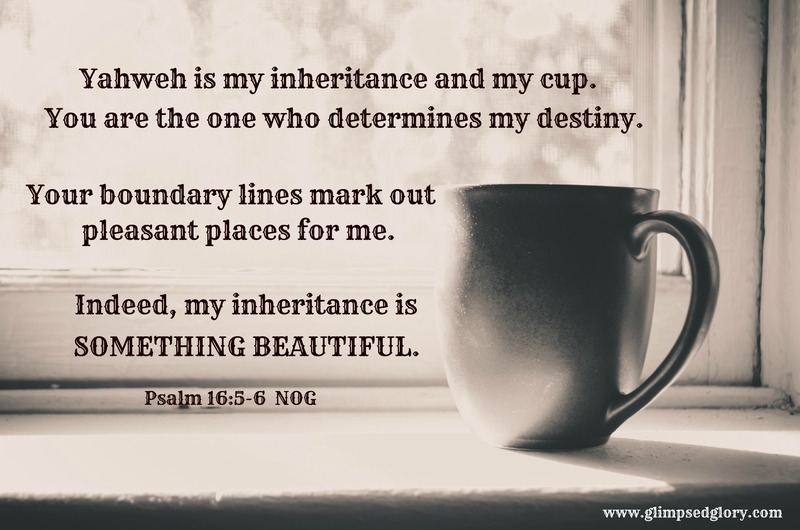 To keep my mind from the events transpiring around in me I recited Psalm 15 which God had planted firmly in my memory the previous week over and over again. I said the final line with particular gusto as the assisting nurses held my hands tightly . . . The following day one of the nurses asked me “What was that Psalm you were saying yesterday?” and I got to speak a good Word about the LOVE of my Jesus and He who IS FAITHFUL. 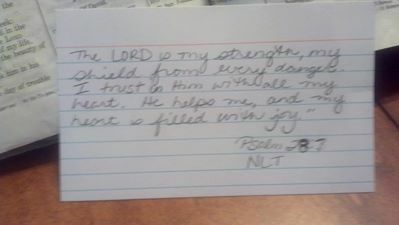 He always has a good work set aside for us to do and HE always gives us the equipping and strength to carry it out. He never ceases to be active in our midst. So this is the point when I must begin moving forward and backward in time. The things that transpired in between the moment above and my being released continued to show the glory of God. 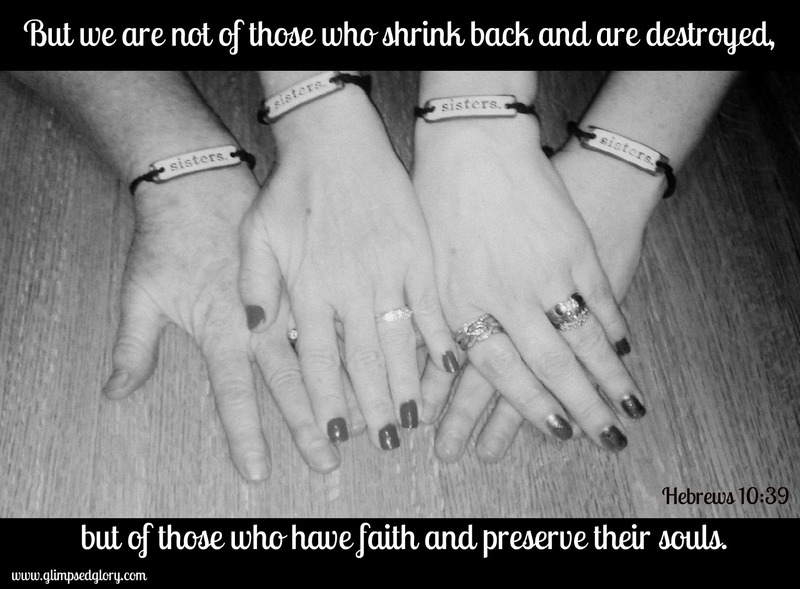 I was blessed by my Sisters in the Faith rolling in one after another with blessing after blessing. Funny that I had just written about our need for the Body and resting in the garage. God knows that simply knowing something very rarely results in it becoming a part of who I am and I praise Him that He will go to any length to make certain that I have fully embraced the Truth He has uncovered. Here’s the flash back: This link is to the full blog post the excerpt below, written by Joni Eareckson Tada, was taken from. I had read it on August 29th and prayed to be that kind of an encouragement to my man. Ken opened wide the front door so I could wheel out to the van. For a long moment I sat squarely in the door frame, staring and taking it all in: the shade tree dappling our brick path, blossoms bobbing on the crepe myrtle, and patches of sunlight on dewy grass. It was the freshest of mornings. Oh God, I breathed, If only I could feel as fresh. How do I keep on going? How do I care about others when I’m consumed with my own physical challenges? How can I be kind and civil when pain wracks me? How can I find the strength to face this day?That morning, Ken had the answer. I gave him an odd look. “It stands for Courage,” he said, “The courage of Christ. I can see it in your eyes, Joni, and you can do this. 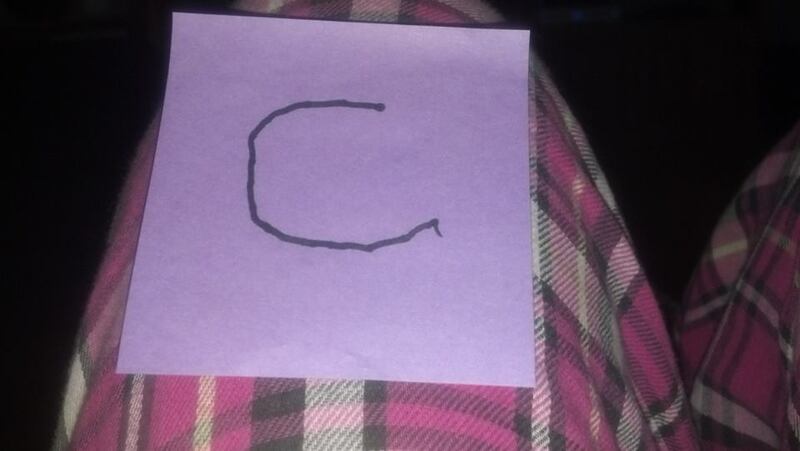 I know you can!” With that, he pressed the post-it on my shirt, right above my heart. There is more and I urge you to follow the link and read the observations Joni shares, but this is the point in the blog where I stopped and prayed through tear filled eyes, asking God to please give me the heart vision to notice when Brett is having a “deep sigh day” and the wisdom to know how to lift him up. I told Brett about Joni’s words and how they had made me think of his daily struggles and I hope I encouraged his heart with words of admiration for all he perseveres through. The flash forward piece of the puzzle brings us to yesterday when I was released and allowed to come home with severe limitations. Brett had watched all that had happened from an unfamiliar vantage point. See, he is very used to being the one in the bed but the other side of the rail is territory he’s not visited too often. It was hard on him. It took courage to push through and do all that he needed to do. But my Nehemiah Man, the guard posted on my wall, persevered yet again. Oh, he loved me ferociously through it all. And while I’m familiar with the feeling of being helpless but never hopeless on the “other side of the rail” I wondered what it looked like through his eyes. With me sobbing and tears in his own eyes, he pressed his finger down on the post-it note until it stuck to his hand and held it out to me. I pressed it on my chest and I felt the total love of the redeemed man sitting in front of me. Oh yes, Beloved, my God is a God of More. More than I can possibly conceive or imagine. My God is faithful and trustworthy. Not a single moment of my life escapes His attention or His affection. He is the Giver of all good gifts and will never let His children settle for less than the More He has set aside for them. The same is true for you. Do not believe for a moment He has abandoned you in the trial Sweet One. Your God would not take you there or allow the challenge if He did not have More for you on the other side. You hang on with faith. You pray big, ambitious prayers and you wait expectantly for your God to bless you. Listen to Him when He tells you not be afraid and consider Joshua 1:9 to be your personal post-it note straight from the heart of the Holy One. Press it on your chest Girlfriend, count on Him to do what He says He will do, and be confident that the God of More is with you. I am at an intersection – a unique place of ending and beginning. . . the corner of the familiar and the future. Days of being a much needed Mommy are coming to a close. They have been ebbing away for quite a while but it seems that my Sweet Girl becoming a wife closes the door with a bit more of a hushed goodbye than her exiting for another year of college. It’s an end to an era of cuddles on the couch, brushing her hair out of her face when she doesn’t feel good, and keeping her room exactly like it is for the next time she comes home. It’s the beginning of preparing for visits from the newlyweds and Brett and I finding our footing in this last stage of empty nesting. I’m thrilled for the new life that awaits her but I simultaneously ache for the warmth of the life that has already passed. 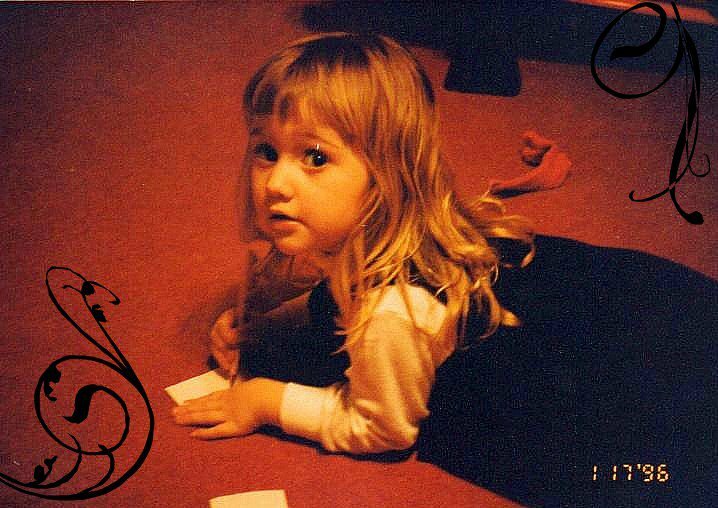 All too quickly she has grown from a delightful, sweet child into a wonderful, vibrant woman. I’m going to be sad not to have a ringside seat for all the changes that are coming her way and the idea of peeking at her life as it is displayed on facebook and Instagram makes the melancholy run down my face. We’re at an intersection – leaving behind and moving forward. She’s leaving behind rural living to move to the city, a place far more suited to her eclectic little life palette. She loves the busyness of it all—the people, the sounds. She even likes too much light shining in her bedroom window now but I know that in that urban setting . . .her heart will remember a sky filled with too many stars to count. I’m hoping she’ll remember the fireflies that lit up the trees across the road like Christmas lights and the ones she trapped in mason jars before they became symbols of shabby chic and kitschy drinking glasses. I’m hoping that when she’s navigating the traffic, lanes filled with cars and activity, there will be a part of her that will have a small urge for the quietness of Biddinger Boulevard. The place that deer would walk up to the back deck and I would convince her Santa had sent them to check on her. The place where Barbie shopping centers grew into empires and the American Girls lived. The home where her love for the magic of following A Rabbit in the Garden changed over the years to a love of following the White Rabbit and the magic of Wonderland. I’m at an intersection—voices of the past echoing and new songs forming for the future. Celebrating that her soon to be husband knows her so well that he bought her a record player for a wedding gift while tilting my head to eavesdrop on the past and hearing the creepiness of Little Mary Fagan move from Nanny’s lips through my heart to meet her ears. And somewhere along the way, my mind swallows up those eerie notes and they are replaced by the theme song from Gilmore Girls and then quickly segue’ –appropriately I might add—into the voice of Taylor Swift as I crack open my favorite old card from years ago and hear . . . all my best days are with you. Straining my ear backward to listen in one more time as Sleeping Beauty thuds to the kitchen floor and the Handsome Prince rolls his wheelchair to her rescue while simultaneously hearing the Bride-to-be make honeymoon plans with the red-haired Boy on the other end of the phone. Leaning into the past to hear her giggle as Uncle Scar and Don Karnage make an appearance through her Daddy’s voice and listening to one song after another play on the computer as they try to pick the perfect one for the Father-Daughter dance that is coming so quickly. We’re at an intersection . . . beautiful memories in the rearview mirror and new scenery just ahead. Remembering so vividly the big vocabulary of the tiny blond-haired toddler of the past and seeing the brilliance of the young writer who speaks with such insight in the here and now—wondering what the future will hold. 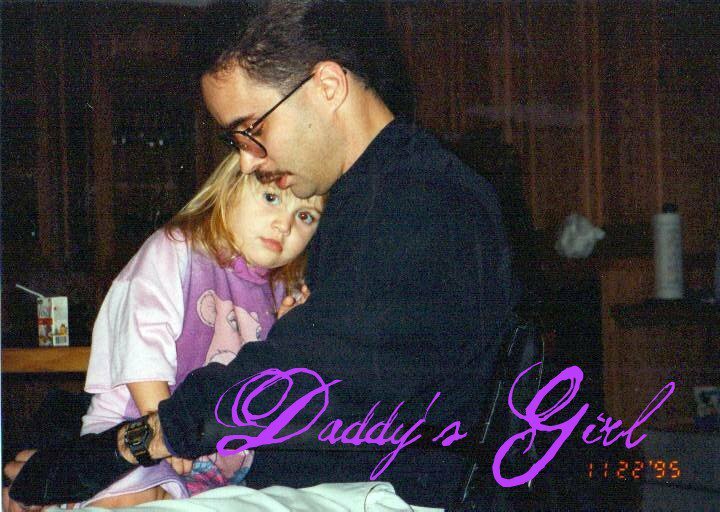 Reminiscing about the little one who rode on the power chair’s battery pack with her Daddy manning the controls and having my eyes fall on the wedding dress she will wear as she walks beside his power chair down the aisle. Looking back in delight at the little girl she was and gazing with wonder at the young woman she is –so beautiful, so breathtaking. I’m at an intersection . . .and no matter which way I look –behind me or before me—I see Jesus. I see a heritage of life . . . redemption then and freedom now. 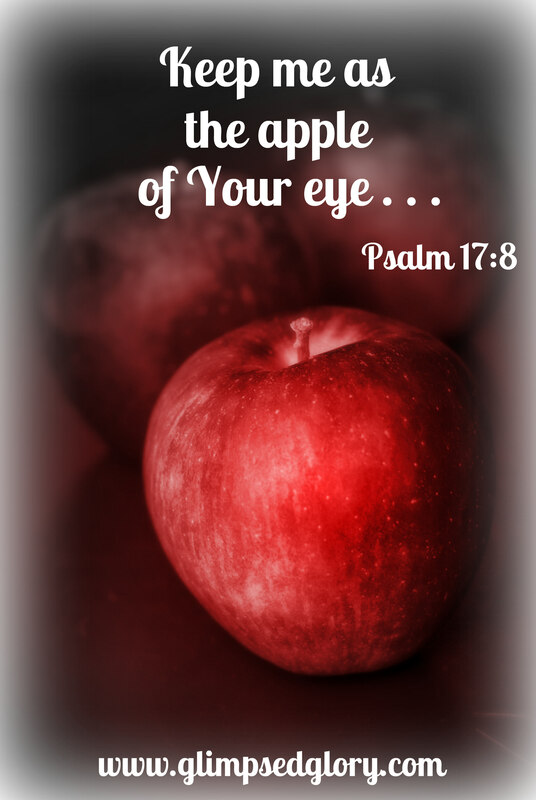 I see Love . . .mercy yesterday and grace today. Rather I gaze forward or backward . . . I see Him. My God whose blessing cannot be contained and whose promises for joy and life abundant know no time constraints. I see Him and my heart rejoices that His love toward me reaches beyond me and His grace is bigger than my mistakes. I see Him and my heart cries out in praise that He has changed her faith heritage –redeemed our family line—and His love extends to a thousand generations of those who love Him. – And I smile at the blessing in the distance—knowing that when little red-haired grandchildren arrive someday they will be the first generation to be born into a family of full throttle Christ followers. Oh Lord, I stand at the crossroads, the intersection . . . the corner of the familiar and the future . . . and I am utterly amazed by Your goodness. A Balloon Ride for Two . . . Safe in the Palm of Glory! Brett and I have travelled across the country this past week not for a simple vacation but to witness a milestone moment in the life of our Sweet Florida Girl. We’ve come to see our Little One walk across the stage, receive her college diploma and symbolically step into the next stage of her 21 year old life. 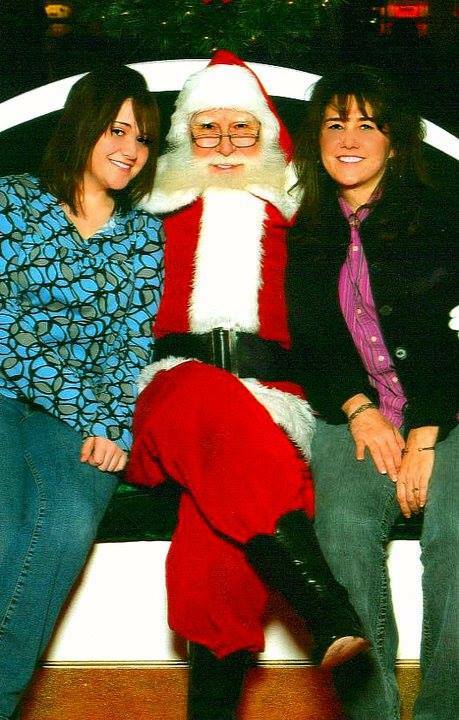 Sisters, where does the time go? 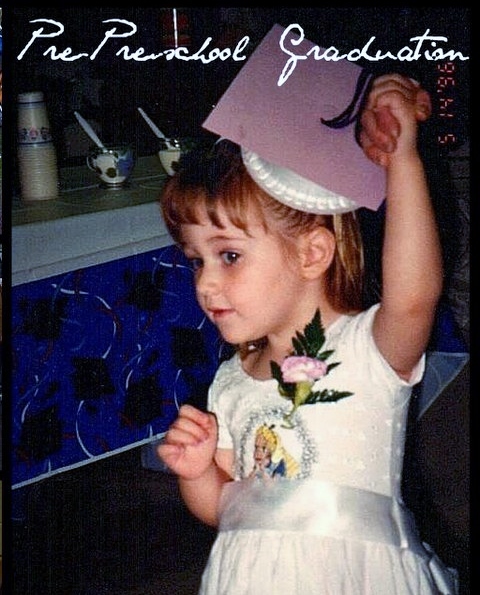 It seems like only yesterday she stepped up to the podium at her first “graduation” – the time passes so fast and, as cliché’ as it sounds, you barely blink and it’s gone. And I don’t think that sentiment, the idea that time with those who have captured our hearts slips away too soon, is limited to our children. I think it’s that way with all the important people in our lives. The time always seems to go to quickly . . . with your Grandma, with your Mom, with your aunts, your sisters, your nieces, your daughters . 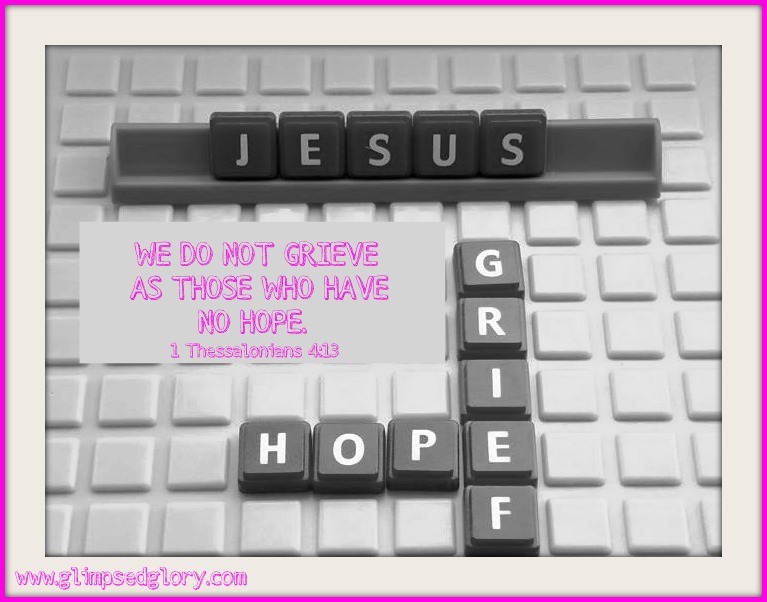 . . it never seems like we have the time to fully embrace them and in the blink of an eye . . . it’s a memory. That’s how these last 21 years feel to me and as I let my mind drift back to the beginning of her college years I clearly remember the absolute physical pain of watching her pull the car out of the garage to begin her adventure on the opposite end of the United States. 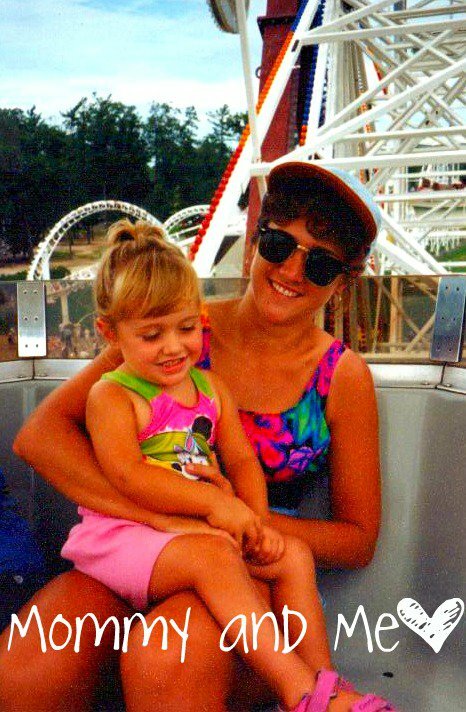 I felt so anxious about what the future held for her and to be honest, for the empty nest she was leaving behind as well. 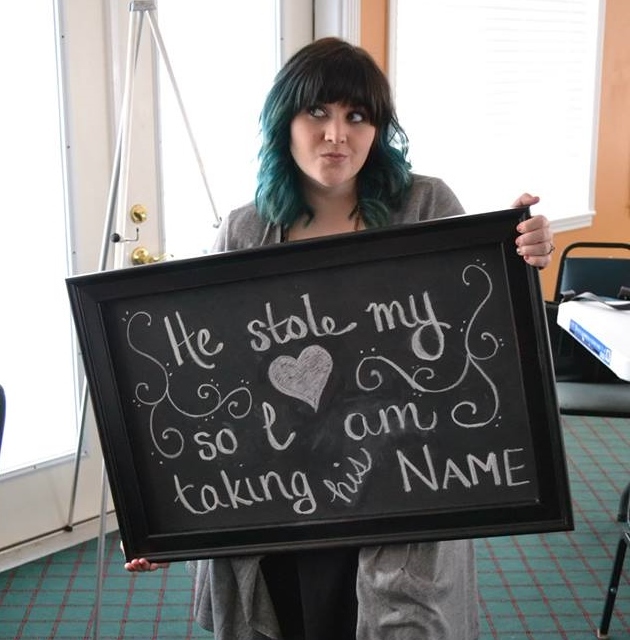 What was waiting for her at Southeastern University? 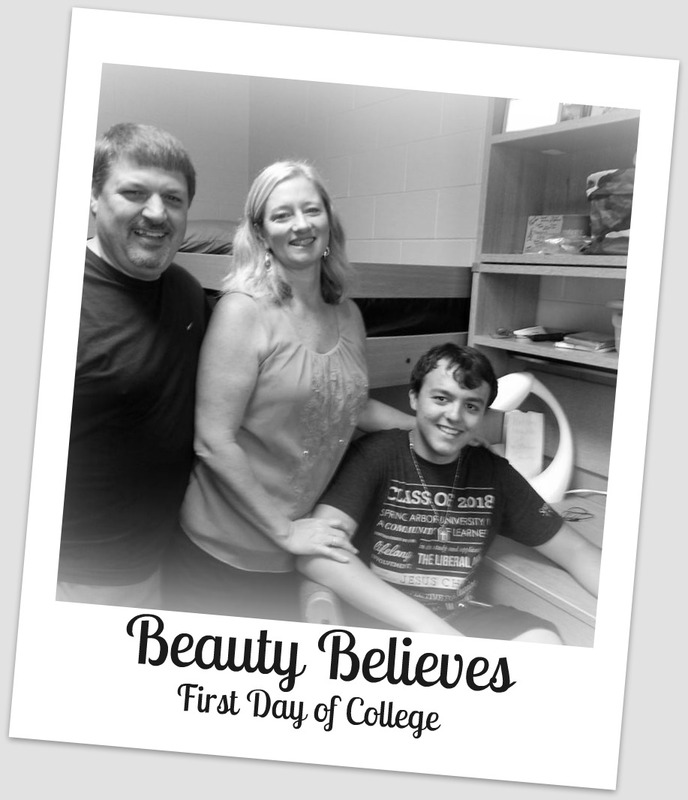 She believed God had paved the way straight through those campus gates for her. So much so that she called it her “Promised Land” – but would it be? Would the adjustment, the being away from home, be difficult for her or would she make the move easily – and, if I was honest with myself, which one was I really hoping for? All these questions and a thousand others pounded at my heart as I watched her turn the key, smile at me with such expectation on her face and drive away. I flew to the spot Brett was having his morning coffee, crawled up beside him, and let the thousand questions roll down my cheeks. And now here I am at another monumental moment . . . watching as she takes her place with a smile full of expectation – she isn’t sitting behind the wheel with all her belongings in the seats behind her, but she is poised for another adventure. It’s so strange to me to see her in this place, where the past and future are meeting in such a real and tangible way. So surreal to open the commencement program listing the graduates, trace down through the list and land on the name we had given our Sweet Child 21 years ago. Such a mix of remembering, experiencing and anticipating all tangled into these few brief moments. Remembering her as a little girl. Thinking about the health diagnosis she has received this year and the challenges they will present throughout her life. Anticipating her upcoming marriage in 2015. Mulling her plan to move several states away from us . . . again. And there is that physical pain again and the thousand questions that batter at my Momma’s heart. Does she remember home as a safe harbor? A place of love? The spot where grace lives? What is she thinking about the pain in her joints and all the medicine she has to take? How is she going to cope with the new limitations she has? Is she nervous about being a wife? Will she make friends in that new place? Will she leave us behind? So much change in her young life and in this old one too. And all those questions welled up in my eyes and rolled down my cheeks as I spilled my heart out to Brett over coffee in our hotel the morning after graduation. I’d love to write that he handled it so wonderfully but I know he will not mind me telling you that he sometimes forgets that I don’t really want the questions answered or the problem fixed. I just want someone to hear what’s on my heart. So he didn’t handle it badly, he just really wanted to make it better. To make certain I knew that Britt would be okay on the journey. To remind me that we have been praying for her for years with this specific time in mind. And to point out all the times God has been so obviously faithful to her over the years. 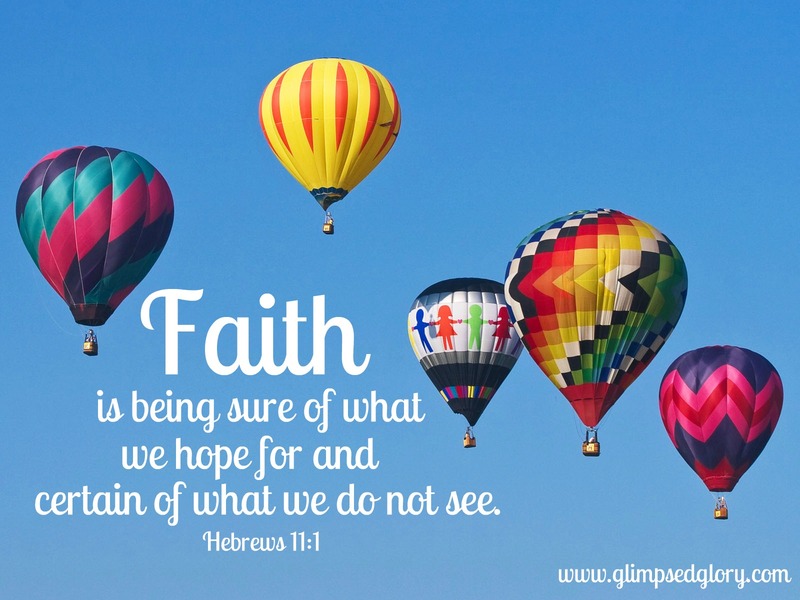 I looked over to explain to him that I didn’t want to hear logic or be reminded of all the things I know to be true and over his shoulder, right off the patio of our hotel room, I saw the most beautiful hot air balloon with the sun splashing across it. I said, “Honey, look at that! 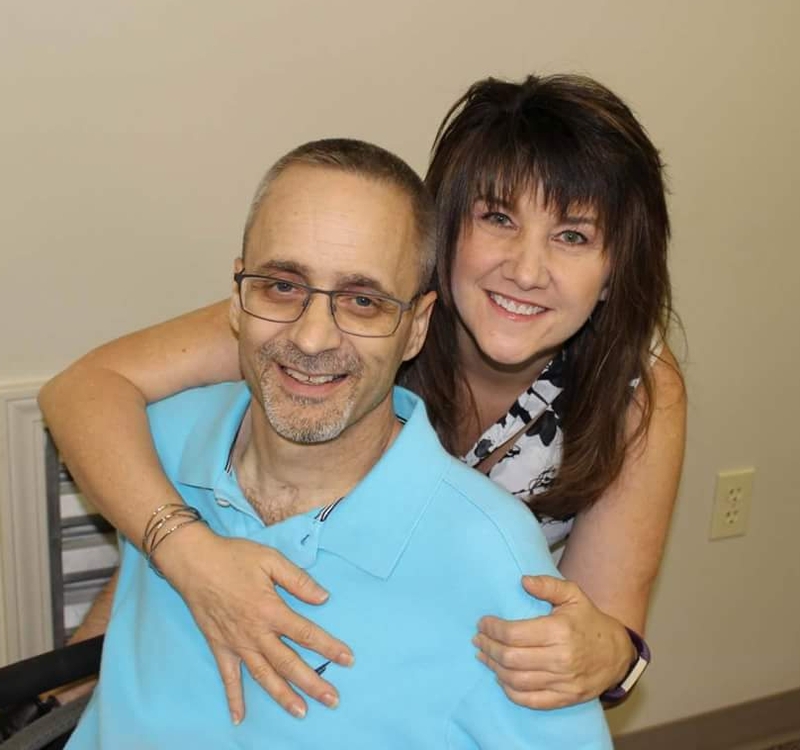 It’s so beautiful!” He turned to look from the place he was sitting and said, “Where?” He rolled forward in his wheelchair and said, “I can see it now. But there isn’t just one – the sky is full of them!” And he pushed out onto the patio. I got out of my chair and followed him and there they all were with the sun lighting them up. They were so beautiful. And calm. So peaceful. The splendor of the single balloon had been obscured from Brett’s vision by a concrete post and the beauty filling the sky had been hidden from me by a curtain. We had to move, to get up close, get out from behind the post and pull back the curtain to see the bigger picture. And still, as we took in the details of the balloons, suspended in the sky, awash in the sun, poised for adventure, we didn’t know where the balloons had launched from – where they were going—or who they were carrying. For all the beauty in front of us, we only saw one brief moment, hanging in time, of the much larger journey. We were witnessing, Sweet Sisters, a glimpse of Glory . . . a small slice of the wonder of Him . . . in the sky above us and the life of our Sweet Girl. And the message struck like a lightning bolt. God is all about doing the beautiful thing – even when the post is obscuring our vision or we’re standing behind the curtain. What I can or can’t see has no bearing on what He is doing. I cannot contain Him and neither can you so we trust Him to always be about the business of filling our skies with love. And occasionally, when we heed the Spirit’s push to move closer and respond to His invitation to look up . . . we see the beauty of Him . . . and if we will raise our eyes toward heaven, even as the questions roll down our cheeks, Sister, what we behold will be absolutely glorious. 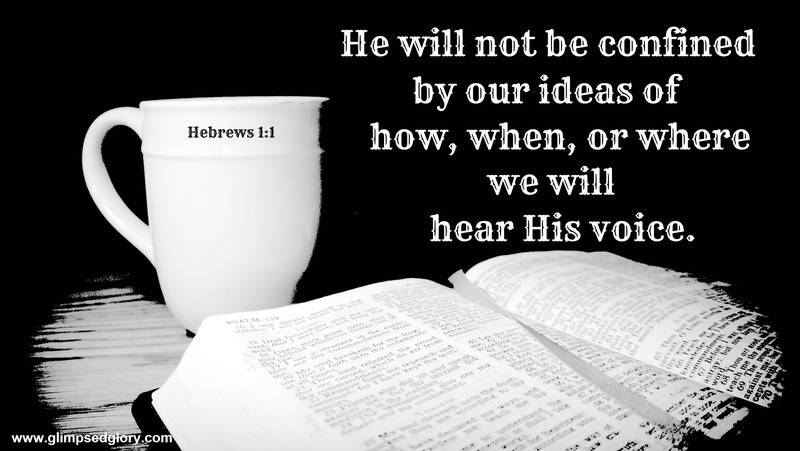 I am beginning a personal study of the Book of Hebrews and as part of the adventure into these passages I want to get as much of the background story as I can. It’s not where everybody begins but I enjoy trying to piece together the surroundings the Almighty chose as the very place He would have the quill hit the parchment. I love the idea of leaning over the author’s shoulder as he receives Divine inspiration and trying to imagine how it all unfolded. What did he experience as the Spirit settled upon him? What kind of expressions crossed his face as he drank in the Word of God? How long did it take him to understand what was happening –did he know immediately or was it a process? Did he smile at the thought that the God of heaven and earth was chatting so loudly or was it more like a holy whisper that made his hands shake as he tried to get it all down? These are the kinds of things that I like to think on and wonder over when I start out on the quest of new treasure. This particular excavation of Truth –this specific seeking of treasure– has however, begun much differently than what I anticipated when I settled into my chair. To say that my expected beginning has taken a very unexpected turn would fall far short of describing my experience this morning as God confirmed for me again at least two things that He has been whispering in my ear since He and I began this journey. Beloved, God has gone to great lengths to whisper to your heart and reveal His Nature to you in personal, unique ways. My own experience confirms for me that neither a righteous background nor an extraordinary intellect is a requirement for looking beyond what we can see and Glimpsing the Glory of the One we cannot. In fact, I am walking, talking assurance that the “Extraordinary of God” will be revealed to the most unrighteous and utterly ordinary among us. Never doubt that the Creator of communication is fluent in the language of your unique soul as well. And isn’t it beautiful that He will keep repeating Himself, over and over again, until He’s certain the lesson He is teaching is etched on our souls. He’s so dedicated to engraving His image on us that He perseveres in stamping Himself on our hearts . . . all for our benefit. It doesn’t change Him in any way but Sister, it changes us. See, what I expected when I grabbed my coffee and Bible this morning was to add some texture to the fabric of the message I was going to read after I poked around into the history of the human who was entrusted with the task of putting it all down for the generations to come. What I didn’t expect was to have God show up in all of His hugeness and stitch together such a beautiful backdrop before I even read Hebrews 1:1. Full confession is . . . I still haven’t made it that far. The God of More had planned to drench me in Himself before I even dipped my toes into the pages of the Scripture. The Extraordinary seemed to be reminding this ordinary woman that He would not be confined by her idea of when and where she would hear Him. No, He could and He would give voice to the message He had prepared anywhere, any time, and in any way He chose. I’m trying to think of a better way to describe all that God has shown me this morning but the one word that keeps entering my mind is “nothing.” I don’t have the space to detail it and the way it all unfolded because He chatted so fast and so loud but in its most scant outline it went something like this in my spirit . . .
Hmm . . . different scholars posit different possible authors – some of the arguments are good others—not so much. What does that mean for me as I start this study? 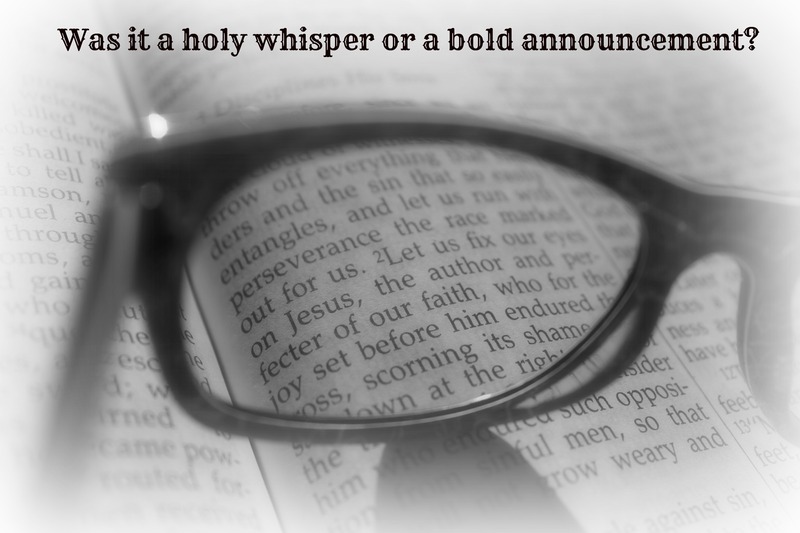 My response to the challenge of human authorship: All Scripture is God-breathed (2 Timothy 3:16) and brought into existence to accomplish the purpose for which He sent it (Isaiah 55:10-11) – while the debate to determine the human hand that held the quill may be of scholarly interest –the power of the Word lies with the Almighty Author (Hebrews 4:12). That’s really true of the entire Bible. It doesn’t really matter who put the pen to paper in any of the 66 books. It adds depth and gives application, and God chose them to convey His message, but the story is God’s – the message always belongs to Him. 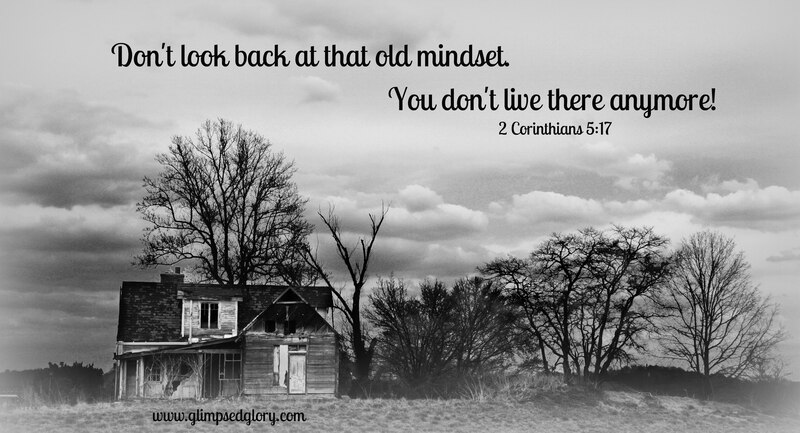 I wonder what those verses that came to mind read like lined up –from the New to the Old and then back again. Guess I’ll check that out. Read back through it again! It is absolutely seamless—the Message of God from both sides of the Covenant Line. The utter constancy of God clearly stating that it is His Word and His Authority and His Voice that brings power and life to the black words on those white pages. And isn’t it sweet that He brought the whole thing to a point with the very book I am preparing to splash down in? I love Him so for putting me in the exact place I need to be as I begin this study. He took the distractions away and gave me “nothing” so I could receive the message straight from Him – not in awe of the dedication of the mortal author – not marveling over the tenacity of the human writer – but with my eyes and my heart marveling at HIM, the Immortal One. The potential hook between Isaiah 55:11-12, the word of God produces “seed to the sower,” and the Parable of the Sower (the sower sows the word) and the possible link between Jesus who is the Bread of Life declaring that we will need to eat of His flesh along with the declaration that the Word became flesh in John 1:14 and the Word of God being “bread to the eater” from the Isaiah passage. The idea of a connection between God bringing life with His breath in Genesis, Scripture being God-breathed in 2 Timothy 3:16-17, and the prophecy of Christ delivering us to eternal life by slaying the enemy—the author of death–with the breath of His mouth in 2 Thessalonians 2:8. The possible thread between the double edged sword in Hebrews 4:12, the power we possess to strike down our enemy with the Sword of the Spirit, which is the Word of God and the double-edged sword coming from the mouth of Christ in Revelation 1 that will be used to strike the nations in Revelation 19. Isn’t He wild? What kind of King shows Himself to the servant that way? It’s astounding that He would welcome us into His Presence with such generosity. I am beside myself with glee at what lies ahead on this treasure hunt. Absolutely giddy at the possibilities He may lay out in front of me. And Girlfriend, Fellow God Seeker, this is just a small glimpse of Him, a little piece of His splendor. What will it be when we fully know as we are fully known?!? Do you remember where all this began? It all began with finding nothing – no undebatable human author. He has brought us all this beauty, all this excitement, all the wonder from the discovery of “nothing” —but it strikes me as I type those words that I shouldn’t be surprised because isn’t that how He does? In Genesis 1:1 God speaks and “nothing” is transformed into the spectacular “something.” Just the sound of His Voice, giving form to the command of His Heart and “nothing” takes on a wild beauty that we can’t even comprehend. Doesn’t that thought startle you just a little bit? The same Voice that spoke the world into existence . . . the same Heart that commanded beauty to be born . . . the Heavenly breath that turns “nothings” into “somethings” . . . Sweet Sister, He’s the One who speaks to you. And that brings me to the second thing that I am certain He has confirmed for me again today and I hope He has spoken to your heart as well –our God, the One who loves you and the One who loves me, is always the God of More. He’s always more thrilling, more exhilarating, and more exciting than we could possibly dream up. When He shows us glimpses of the Who of Him and empties us of our own small expectations, when we come to Him with our “nothing,” . . . well Sister, transforming it to something is His specialty and it will always be more beautiful than our finite minds can conjure. 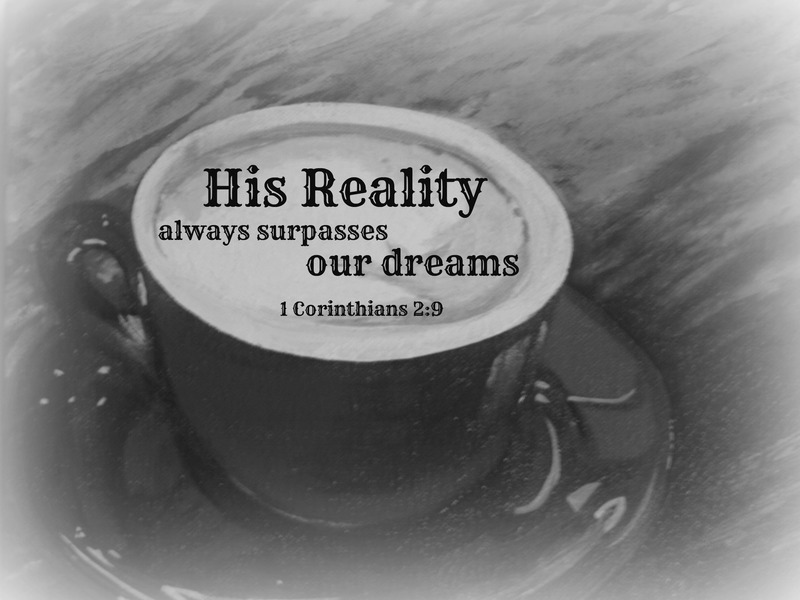 I’m going to be so bold as to say that His reality will always surpass our dreams. It will always go beyond our wildest expectations and exceed our aspirations. That Girlfriend, is the “something from nothing” life – originating in His Heart, beginning with His Voice, taking form at His command – He created you to live. So you press in close, hold out your cup full of nothing, empty yourself of your small expectations, trust Him to be Who He is and then you watch your beautiful something overflow. (P.S. And so I finished all the detail work on this post but wanted to check a reference one last time. 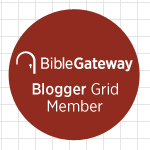 I went to Biblegateway and the verse staring back at me from their homepage . . .Hebrews 1:1-2! But God! . 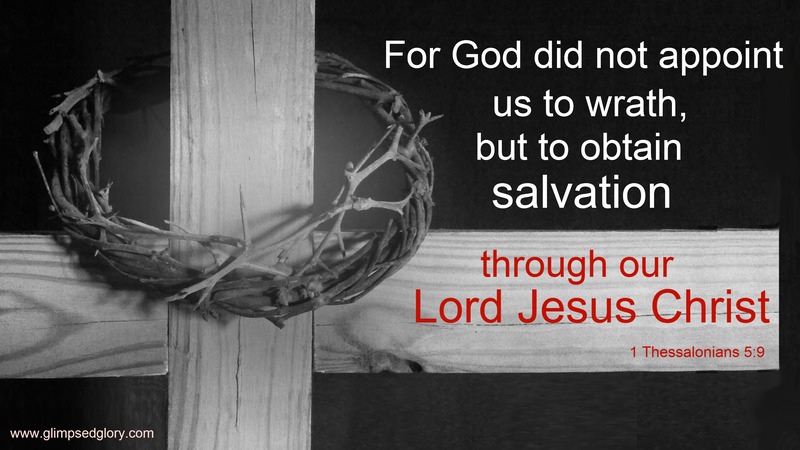 . .
For God did not appoint us to wrath, but to obtain salvation through our Lord Jesus Christ. Sisters – Let the wind of the Spirit blow over those words and drive them deep into your heart this day. We have been rescued! Those who have believed in their hearts, confessed with their mouths, and this day are being transformed from one degree of glory to another have been ushered into safety by our Sweet Messiah. Try not to get all caught up in the shades of the word appoint when you read the verse– some translations have it “destined” others use the word “intend” – there may be a time and place when you are called to pull the Sovereignty threads apart and seek out Scripture’s guidance on that particular word but for just the few moments that you will spend reading this post let’s keep to the Strong’s Concordance definition of “to decree one to be subject to” and throw our hats in with A.W. Tozer in the Pursuit of God . . .
Let’s rejoice together that if we have claimed Christ as our Savior then God in His infinite grace has not decreed that we are subject to His wrath. In Bible study this last week the class was challenged to ponder the word wrath and jot down the things that popped to mind. I’m certain we came up with many of the same ideas and concepts your mind would conjure given the opportunity. And maybe the most pointed term of all – DESERVED. And yet, God did not decree those who believe to be subject to punishment, unrelenting pain, destruction, unrestrained anger – He chose not to subject us to exactly what our sins deserved. Rather, His appointment for we who believe is to obtain salvation. Beloved, the thing He has decreed for the Romans 10:9-10 believer is rescue. Unmerited favor placed squarely on your shoulders, squarely on my shoulders, because the Messiah chose to place the Beam across His. Is His compassion not breathtaking? It’s unfathomable that He loves us so. What faithfulness He displays to we who by nature are children of wrath . . .
It’s our nature to be children of wrath, but here Sweet Sister is the entrance of Grace and Love . . . I don’t know what that does for your heart or how it quickens your spirit but for me it feels a superhero has swooped in from heaven and saved me from certain death at my own hands! Do you see it? And the Creator of the universe stoops from heaven to lift you . . .to lift me . . to the Rock of certainty. To hide us in the cleft . . . to hold us in the place of safety that we do not deserve. What so great of rescue is this that the Son would wear our death so that we might be dressed in life? Every act of disobedience merits retribution. Every sin deserves punishment. Retribution—Punishment—Wrath is exactly what I deserve . . . BUT GOD! He has saved us, rescued those, who were by nature children of wrath, placed our punishment on the head of Christ and appointed to us the crown of life . . . BUT GOD! Girlfriend, we cannot make too much of those two words — BUT GOD! They are our lifeline. It’s what we live on! Cling to! Trust in! It’s our firm foundation to know without a doubt that the mercy of God has sliced through the world timeline in the person of Jesus Christ and looked directly at us with the Face of Grace. It’s what makes our walk confident when we should be anything but in this very dark world. It’s what makes our faith unshakable when our circumstances quake around us. And it’s what makes us stand firm in the face of our enemy for greater is He who is in us than He who is the world. So Sweet One, no matter where the pressure comes from today, rather the assault is from without or the attack is from within – you steady your heart in His love, stare that thing in the face, raise the hand of victory and you declare for all the heavenlies to hear. . . BUT GOD! Beauty . . . you are alive and well. The image of the Beautiful One is surrounding us and we are engulfed in its heartbeat. His grace, His love, His steadfastness . . . every single attribute He possesses has been placed inside of His most prized creation. Sister, that most favored status belongs to you. Your life, if you have accepted Jesus Christ, is being renewed and transformed to reveal more and more of the beauty the Elohim, the “All of God”, created you to possess. And we, with unveiled faces, move about this life going through the trials, the tests, the difficult stuff and we come away with a greater confidence and certainty that He is with us, that He is good and we are precious in His sight. We confront the questions to be sure . 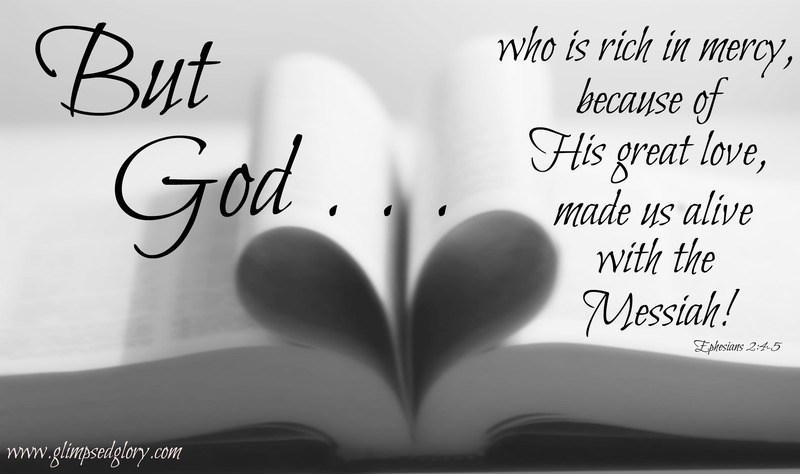 . . Is our God a Giver or a taker? Does the Delightful One truly delight in me? 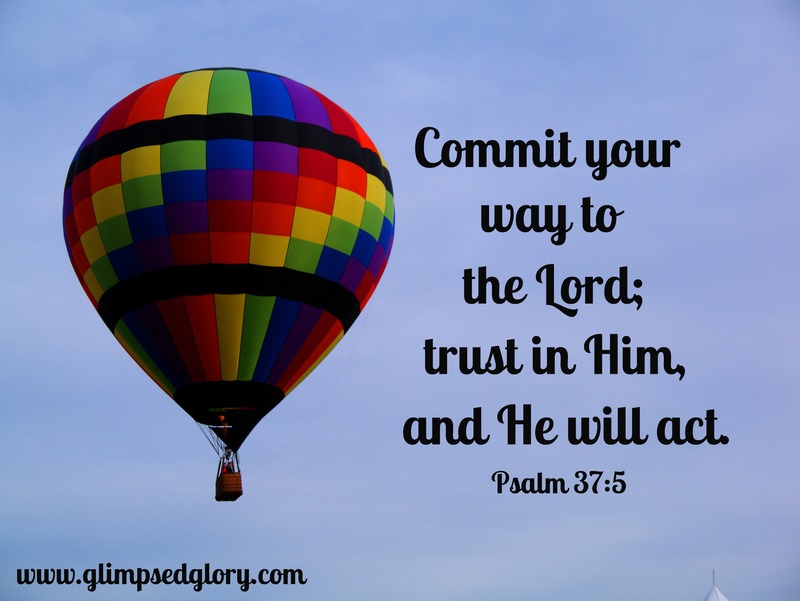 Has He forgotten His promise to work all things together for the good of those who love Him? It’s part of the process. We question, we pray, we cry . . . but we do not withdraw when “good” doesn’t look like we think it will and “beauty” gets messy. And when He clears our vision, reaching down into the depths, pulling us to the top so we can breathe, opening our eyes to see just a slice of what He is doing . . . Beloved, we scarce can take it in. That’s the place my Sweet Friend found herself in just a short time ago . . .the place where God peeled back the worries of this world and showed His splendor just for her. She gave me permission to share her story, but no matter how I tried I couldn’t bring the words together in a way that captured her heart and the way His love absolutely flowed over her in those moments. See I think that no matter how up close you have watched someone, walked with someone, or done life with someone – you can’t really tell their story quite like they can. I so wish you could sit face to face with her, see the tears in the corners of her eyes as she spoke—because the tears would be there believe me—and hear her voice take on the hush of holiness as she poured her heart out and marveled at His goodness, but that’s just not possible. So instead, she’s allowing me to share her story in her words. 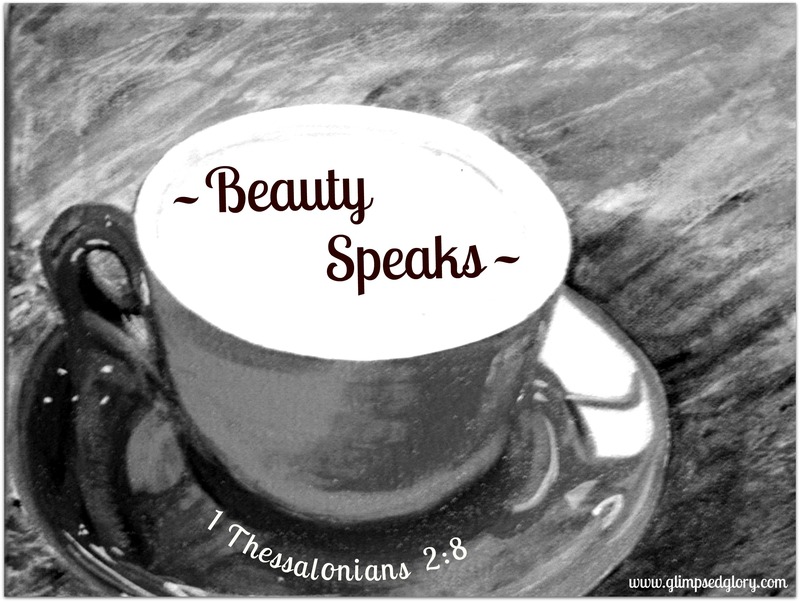 She wrote this originally as an encouragement to the Sisters she studies the Word with – a tangible way to put skin on 1 Thessalonians 2:8 sharing of our very selves—not anticipating the invitation to encourage a much larger audience. True to the image she was created in she has answered the call to come alongside us and let us glimpse God’s glory with her. May He bless her one-hundred fold for giving voice to His goodness and testifying to His love. My Sweet Friend, thank you for living and loving out loud in Jesus Name. You are tangible proof to me that beauty thrives in a fallen world. Blessings to you. You all know I was on a long journey with my Mom as she was dying. It was one of the hardest journeys God has ever taken me on. I lost her in December of last year. 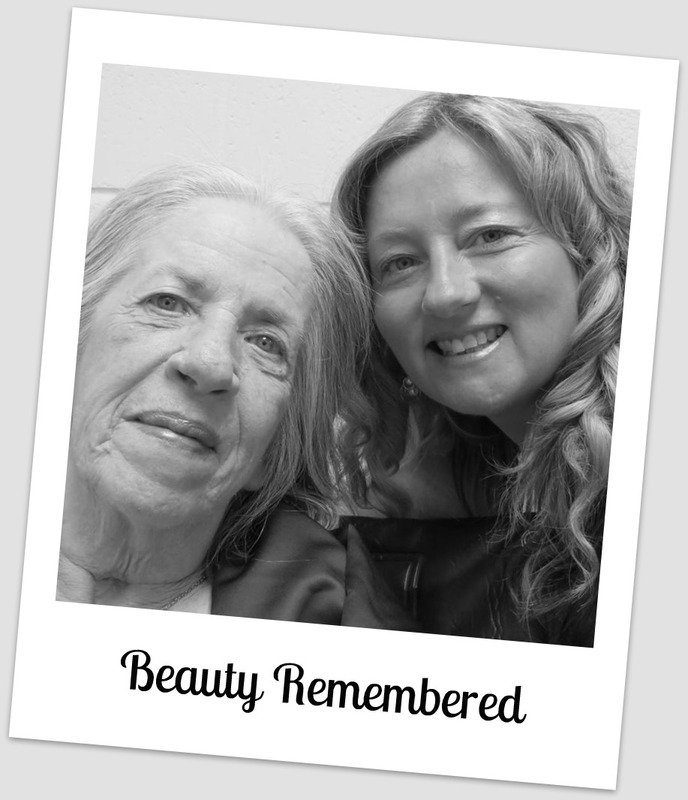 Sitting here with my Mom during the last hours of her journey here on earth. It’s strange how they usher us into this life and we get to usher them into eternity. Wouldn’t want to be anywhere else. What a blessing to hold her hand through it all. Soon after that my son Jacob’s caregiver, (Jacob has Down’s Syndrome) that worked for us around 4 years, was engaged and got married in April. So she left us too. She is like a daughter to me so I was so happy for her but it was a big loss. 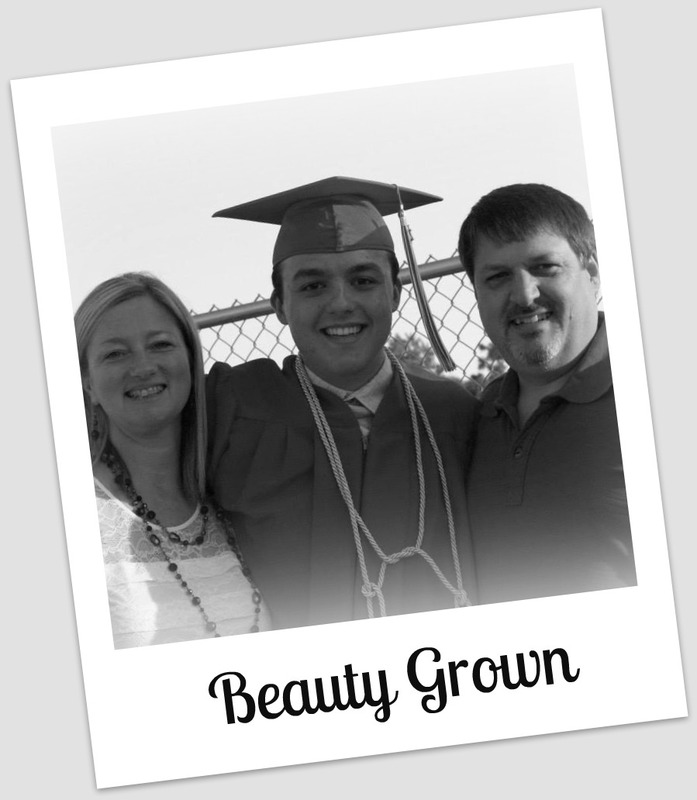 Then Jacob’s twin brother Josh graduated in June and left for college on September 1. Honestly I wasn’t sure I would make it through all of these losses. I had a few months where I didn’t leave the house much. The massive amounts of snow were a good excuse to stay home. I did pray and read my devotional and even sometimes my Bible during this time. I had awesome sisters that kept praying, bringing coffee and checking on me. As spring came and the sun….I felt God so close. Just as I had in my Mom’s last days. I slowly started moving again and getting involved in life. It was a very long process but as I shared with my counselor and my girls, God had told me to be still when my Mom had died. I was still but the pain was so overwhelming sometimes. We had to help Josh decide on a college. This was so hard. To guide but not insist or pressure. God gave us such wisdom and patience. I knew where I felt he should go as soon as we hit the campus but Josh wasn’t sure. It also cost way more than we could afford. I kept praying Lord is this the place? Show us, tell us, we want to obey. By May, Josh had decided it would be Spring Arbor, my choice too. Then God provided the money we needed. It was amazing. All that he did to show us his answer. Anyway, as summer ended we packed Josh up. We arrived on campus and were overwhelmed with God’s goodness. From each person we met to how smoothly things unfolded. We had never met Josh’s roommate but quickly knew they were a match. His mother and I stood in the hall listening to the RA and Spiritual advisor for the boys tell us their hearts for these boys and how they wanted to encourage and guide them. Amazing. 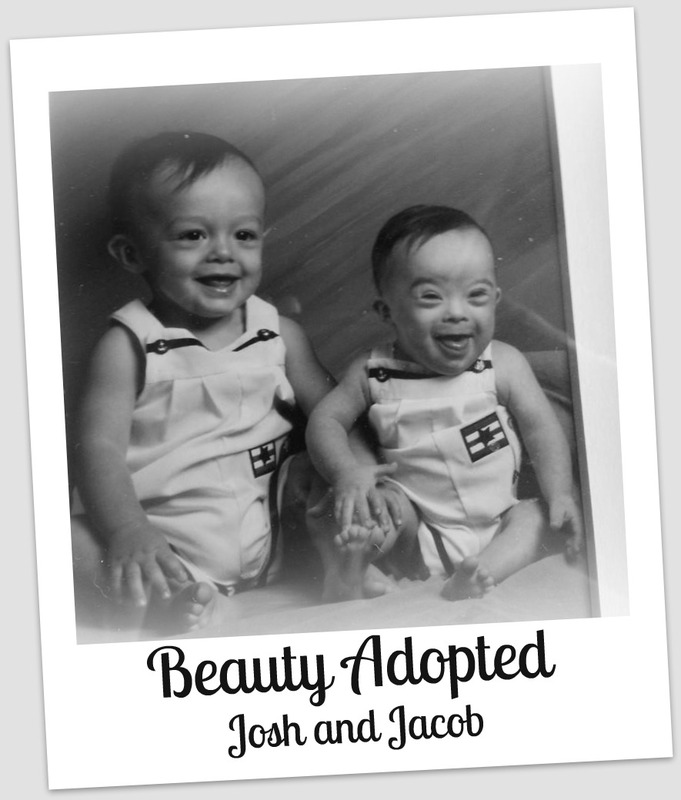 “That can’t be true because I am adopted.” I looked up and said “Drew, your adopted?” “Yes” he said. I said “Wow, Josh is too. Did you know that?” “No, I didn’t”. When I looked up at his Mom and Dad they were both smiling. His Dad asked me when we had adopted the boys. I told him August of 1996 from Christian Cradle. They smiled bigger…. ”I approved your adoption” he said. I couldn’t even speak. I actually held my hands up to God and started talking. What a confirmation! God told me in no uncertain terms that Josh was supposed to be there at that very moment. He is more than I can even put into words. He is the Alpha and the Omega, the Savior of the World, the Lover of the Soul. Every intricate detail…from greatest to least. He has filled me with more hope and joy this Fall than I ever thought possible. PRAISE HIS NAME!!!! I don’t know about you but I can’t read the words of that Sweet Sister without the tears rolling down my cheeks. Was it easy? Absolutely not. Was it beautiful? It absolutely was. It might not have been our idea of what beauty looks like but when He peeled that curtain back and she got to see His tenderness, love, and care toward her – Beauty was speechless. the Beautiful One never ceases to work for the good of those who love Him. What goodness, what treasure, do you suppose, Beautiful Sister, He is storing up for you? Where might you be, what storms might you have endured, when He peels back the curtain and reveals to you His splendor? I don’t know when that moment might come. We have no way of pinpointing the time when He will show His tenderness so plainly . 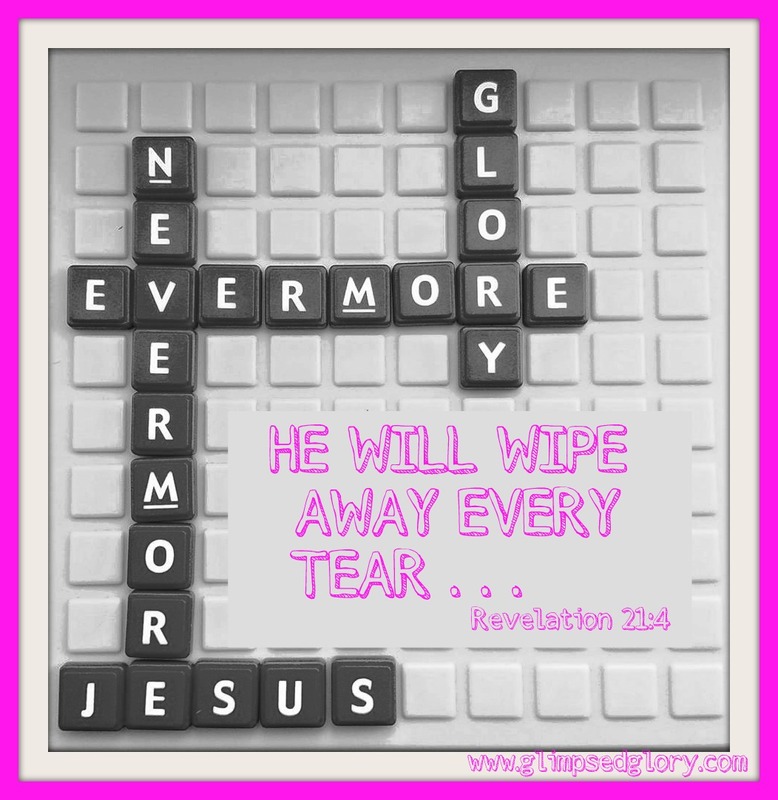 . . the time when we will glimpse His glory and we will be left speechless. But we have heard this testimony and we know He is faithful so we can be certain Girlfriend –the time will come and His Glory will be seen!